Old site name still showing in browser after changing the name. Help please? I changed the name of my website several days ago and manually changed the header in each page. Now that I have launched my site, when you go to the first page, the tab shows the old page name, NOT the new. I have double checked the site settings, and everything with the old site name is removed, but it still shows as New Marketer Central, rather than New Affiliate Central. How can I fix this? It may be a silly question, but did you republish your site after saving your changes? I originally thought that it may just be my browser so I cleared my cookies and cache, closed my Firefox browser and retried it. No luck, it still shows the same wrong address. I even tried using a different browser that I had never used before, IE, and it showed the same wrong address. I tried typing the correct address in manually and I get a 404 Not Found error message. Please help, I have other sites online and email marketing campaigns that are supposed to point to the "Requirements" page and they will all get a 404 Not Found error message. Could you do one more thing? Click on "properties" and check if the page headings have been updated in the properties sidebar. If not, you can edit them there and republish. If this does not correct the problem or if this is something you have already done, please get back to me immediately. Hopefully we can get to the bottom of this issue soon as that your marketing campaigns can be successful. I have had this same problem and my page headings have been updated. Can I ask what the solution to your problem was? If you are wondering how to change the text at the very top of your browser window (outside of the main area of your website) you can do this by clicking on the Properties Tab and changing the Window Title. You can change this for each of your pages to reflect the topic of the page. Please let us know if this does not answer your question. I am having a similar problem with my website. I went into properties and changed the name header on each page but Google still lists the old name I chose before changing it. If so, please click on the Properties Tab in the Content Sidebar and change the Window Title. Let me know if you have any trouble with this. I'd also like to add that if you are speaking of wanting to change the link that is displayed in the search engine results page; this is also changed by changing the Window Title using the instructions above. Although it will not display changed immediately as it can take some time for the search engines to re-spider and re-index a changed page. Emmy...thanks for your quick reply! Yes I am wanting to change the link that is displayed in the search engine results page like your example circled in your second reply. I did go in and chang the Window Title long before I ever officially published my site (about 2 weeks before it got published)....this is why I don't understand why it still comes up with the old title I had used. Can you give me a link to your site please. And this is how it looks on Google....I want it to say Serenity Harp....Not...Comfort Harp. I checked your source code and you do have the Title set to display Serenity Harp. It seems that Google has indexed the page with the title Comfort Harp. I checked and the last time this page was cached (indexed by Google) was February 12th, did you possibly change the Window Title after that? 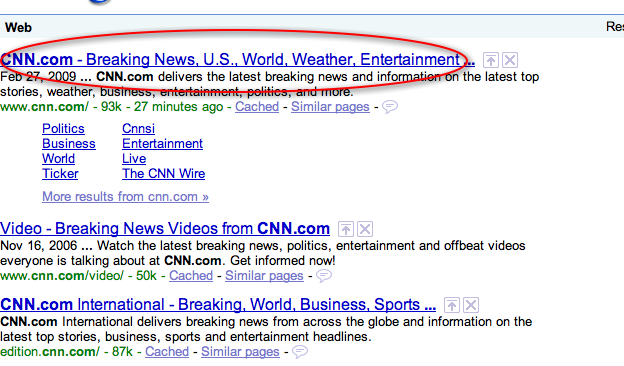 It will change to be what you want, it will just take a bit of time for Google to reindex the page. Hmmmm....I thought I changed the title before then but am not totally sure on that. That must be what happened....so I will just wait and see if it gets changed after a while. Thank you for all your help...I really appreciate it! Hey emmy. How do you find out when a page has been indexed? Also a full crawl of the web for Google is the first business day of the month. You can also use this command with some other search engines to see which of your pages are indexed such as Yahoo and MSN. Just go to the engine's home page and put that command into the search box. I have a similar problem. I have to manually the name name of the headsing after I changed the name of my website. 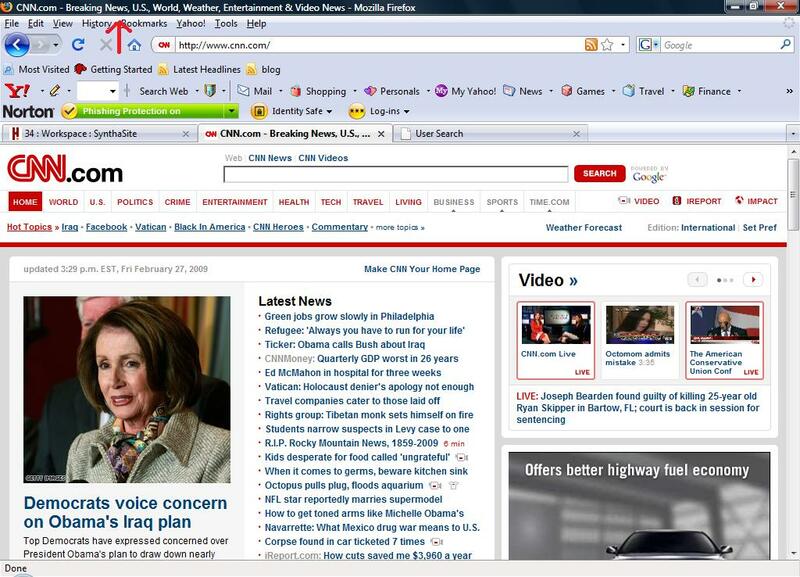 Also, the window in taskbar (at the bottom of the screen, not the browser) show's my old website's name. Not the new one. Here's a link: www.wwwWorld.synthasite.com. My website's origanell name was "Derrick's", but I soon relized that it was a poor choise. You will notice that that name is still on the taskbar when the website is opened. Is there a way to fix this? Yes, you can fix this. You need to edit your window title. This can be done in the Properties sidebar for each page. See the attached screenshot for where you need to edit your window title. Once you have done this your new name should show. We did have a technical glitch earlier. I apologize for the inconvenience. Can you please try clearing your browsers' cache and see if that helps? Please let us know how this goes.